Funny how life seems to come full circle. In the summer of 1966, while deer hunting on one of my families ranches down in California, I spotted a sparkle in the distance as the sun was setting. That sparkle turned out to be an unembossed whiskey flask, purpled by the sunlight of a hundred previous summers. I was hooked. I started "hunting bottles" on the ranch and found more. Bottle hunting evolved into bottle digging. A whiskey bottle was always a jewel in the crown. The other jewel I cherished was the friendships with fellow collectors that developed over the years. In the early 1970's, I started trading and selling the stuff I'd dug in order to purchase more whiskies. Back then paper labeled whiskies could be had for the same price as one without. I liked the graphics and picked up honest labeled S.F. whiskies whenever I could. Fifty years, and over seven dozen labeled western whiskies later, my collecting tastes haven't changed that much. Neither has my appreciation for the friendships that I've developed. A couple of weeks ago, good friend Medina and I headed south to an area on private property that I've had permission to detect and dig on since the 1980's. We've never dug anything exceptional, but it's great to get out in the woods and explore regardless. The area was logged via narrow gauge railroad at the turn of the century and the trash left behind by both loggers and railroad men is always interesting. We always seem to find something and this past trip was no exception. 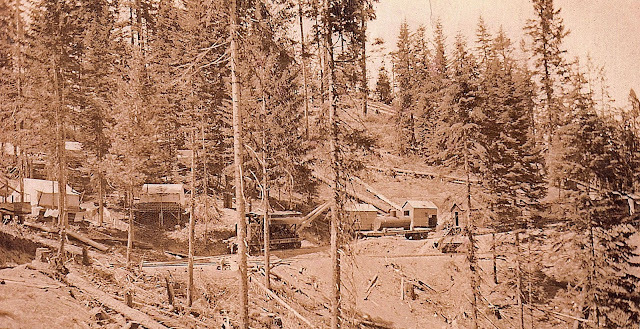 We had a photo of a logging camp / railroad spur that clearly showed the layout of the little community in the woods. It made detecting pretty simple, since we knew where the cabins and tents had once been perched on the hillside. Sure enough, brass buttons, lace up loggers boots, tin cans and a myriad of other metal "treasures" made their appearance. Just as we were ready to pack up, my detector went off at the base of a tree. Swell, another tobacco tin... But wait, a sparkle appeared in the duff, just to the right of the tin, about a foot down. 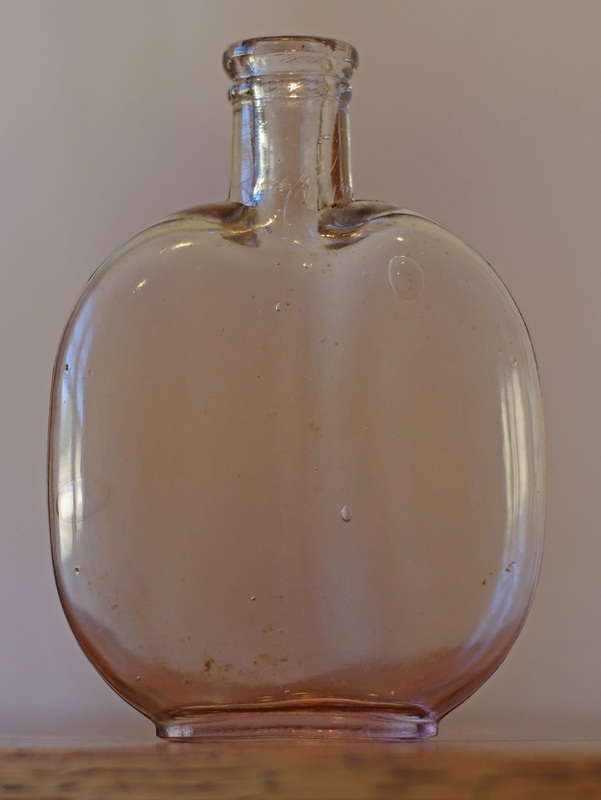 Well I'll be~ Nearly fifty years to the day, I'd dug another whiskey flask. And the thrill was still there! Recently, a friend of mine up north came up with a neat labeled S. F. "whiskey" (well actually a cordial / Rosenblatt & Co.) with full body and neck labels, plus the tax stamp; still corked with the lead seal fully intact. I touched base with him, and we struck a deal. I was going to have a friend pick it up for me, to save him the postage, at the Sacramento Expo since I won't be able to attend. Imagine my surprise when a few days later a parcel appeared for me at the post office from Tommy. Yep, he'd gone ahead and sent it anyway. A friend indeed! An appreciation for neat but common dug bottles, labeled whiskies and treasured friendships molded my love for this hobby. A half century later - some things never change! Artwork courtesy of Brownell's - Serious about our 2nd amendment rights since 1939.